Churches have a strong influence on Mumbai’s architectural landscape. With over a 100 around Mumbai, many of them over 300 years old, these serene, peaceful and calm structures boast stunning Christian art and colonial architecture. Scattered around the city in quaint suburbs, these structures are usually adjoined by large playgrounds and government-run schools. 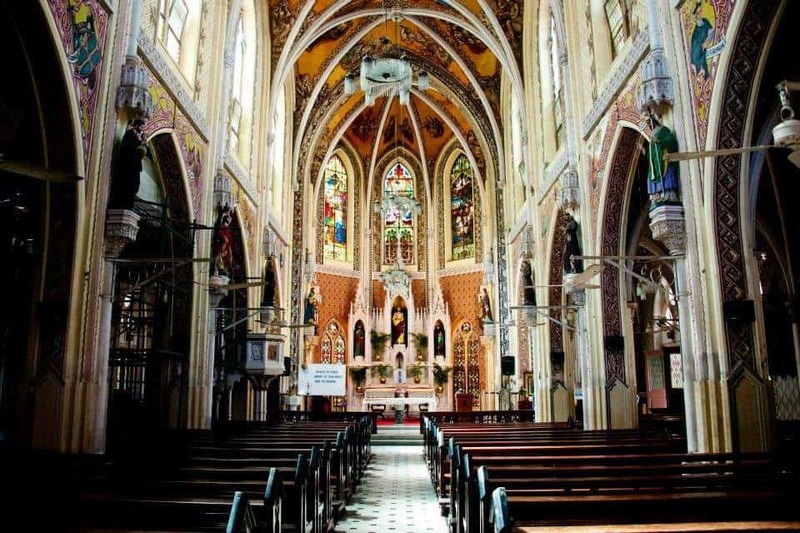 Here are the top 12 churches in Mumbai that one has to visit. Located in the suburb of Mahim, St. Michael’s Church is one of the oldest churches in Mumbai. Built in 1534, it is famous for its Wednesday novenas that see thousands of devotees across faiths and from all walks of life throng the church all through the day. In the main complex, there is a beautiful marble statue of Christ and a portrait of Our Lady of Perpetual Succour that is believed to be miraculous. More than 100 years old, the Basilica of the Mount has a wooden statue of Mother Mary believed to have been brought by the Portuguese Jesuits during the 16th century. The church also has a relic that contains the blood of St. Pope John Paul II. Within the Basilica is the famous statue of Our Lady that overlooks the Bandra Bandstand and offers a gorgeous view of the sea. The best time to visit is during the annual Bandra Fair that takes place during the week after September 11th, which is the feast day of Mary, mother of Jesus. Built around 1905, the Cathedral of the Holy Name is the seat of the Archbishop of Bombay. The church is made entirely of stone and is a masterpiece of Gothic architecture. Inside the church, noteworthy relics include the intricate gravestones of former Archbishops and a beautifully carved marble altar. The ceiling of the church, which is covered with paintings of the nativity scene, and a stained-glass window add to the beauty of the church. The best time to visit is on Christmas Eve mass, as the cathedral is elaborately decorated. With its impressive structure and wide open spaces, St. Peter’s church in the bustling suburb of Bandra is one of the most stunning in the city. Reminiscent of a Roman cathedral, the architecture and history of include gravestones dating back to the 18th century and a large marble statue of Christ the Redeemer in the middle of the courtyard. The wooden doors open to a massive space adorned with beautiful glass paintings, arches, and relics of the Catholic faith. The highlight pieces here are the marble angels that lie on the side of the altar and the gorgeous tabernacle constructed in typical gothic style. St. Andrew’s Church in Bandra has a very interesting story. it survived an earthquake and even an invasion. The church is over 400 years old and stands calm and tall at the bustling junction of Bandstand and Hill Road. The church is well known for its quirky messages on the signboards outside — so look out for them. During Christmas season, they have a number of performances and fairs at the church courtyard which is open to all. The Gloria Church is located in the central suburb of Byculla. It was first constructed by the De Souza family of Mazgaon. However, its design was later changed and the church was reconstructed using traditional English Gothic architecture. The steeple of the church is so high that it can be seen from a few kilometres away even. Noteworthy artifacts inside the dome structured church include an impressive marble altar and art that dates back to the 1600s. A scene from the iconic Bollywood film Amar, Akbar, Anthony was shot inside Gloria Church. The real name of this church is Church of St John the Evangelist; however, it is popularly called the Afghan Church in memory of those who died in the First Afghan War of 1838. The Afghan Church is known to have one of the most expensive spires. The 198-foot structure was built in 1850 at the then-whopping figure of Rs. 5 lakh. Here you can admire the stained glass windows and the chancel that is inscribed with names of officers who died in the First Afghan war. A memory of Mumbai’s colonial past, St Thomas Cathedral is built in the neoclassical architectural style. Inside this Anglican church, you can see Epitaphs of soldiers who died fighting in Seringapatam (Mysore) and stained glass windows painted by Victorian artists. Near the altar is a huge memorial of the first Archbishop of Mumbai. While exiting the church, don’t forget to look out for the ornate fountain that stands tall in the church complex. 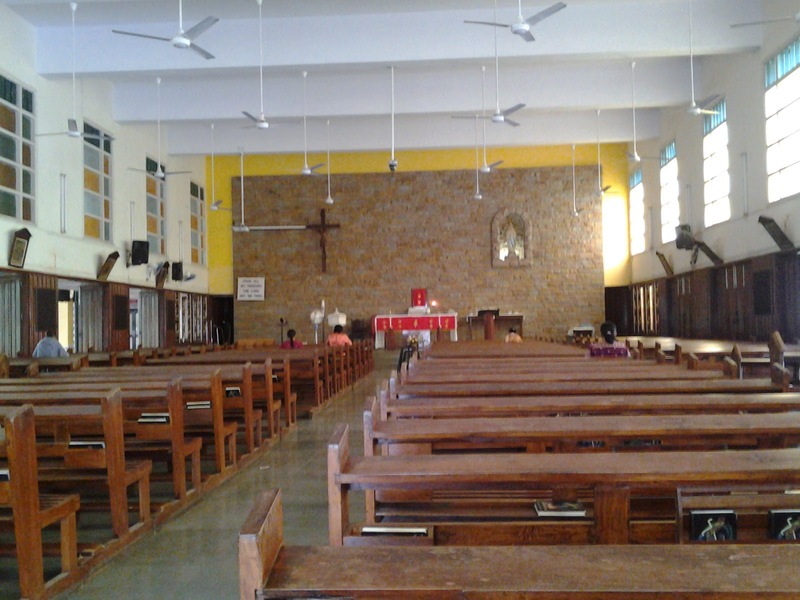 This church is situated in South Mumbai in the suburb of Mazgaon. It was formerly a chapel built by an Armenian woman but was later converted into a church. Here you can admire the painted stained glass windows and the beautiful arched roof under which lies a gorgeous altar made from marble. The best time to visit the church is during the Christmas week, when the entire church is beautifully lit up. The St. John the Baptist Church in Andheri is a must visit for anyone fascinated by architecture. History has it that the church was abandoned in the 1800s after an epidemic spread in the region. All that remains today of the church are its ruins. The church is also said to be haunted by the spirit of a bride who ended her life here around 300 years ago. In 2003, a few priests conducted an exorcism to rid the church of the spirit. It is not advisable to go at night as the church is lonely. Make a trip during the day with friends. St. Stephen’s Church in Bandra is quaint and offers visitors a view of the ocean. Inside the church you can see wooden pillars and gorgeous stained-glass windows that add to the charm of this peaceful place. There are some intricate carvings to admire here as well. You can also visit the Mount Mary Basilica on this road as it is just a few minutes away, or even walk down to Bandstand Promenade to enjoy the sunset. The Our Lady of Lourdes Church is one of the oldest churches in suburban Mumbai. Located in Orlem, this church has a very simple design. In the compound, there is a pristine statue of Our Lady of Lourdes. Here you will also get to see stained-glass windows, painted beautifully by local artists. The best time to visit this church is during the parish feast and for the Christmas Eve mass that see hordes of people coming for the service. These were some of the most famous churches in Mumbai. Have you ever been to any of them? If you have, what special memory do you have of visiting these churches? If not, then plan your trip to Mumbai and visit these churches. Try Treebo hotels in Mumbai for an amazing stay during your trip.